Well done you if you’ve made the awesome decision to get married in Spain. Spain is a wonderfully diverse country. 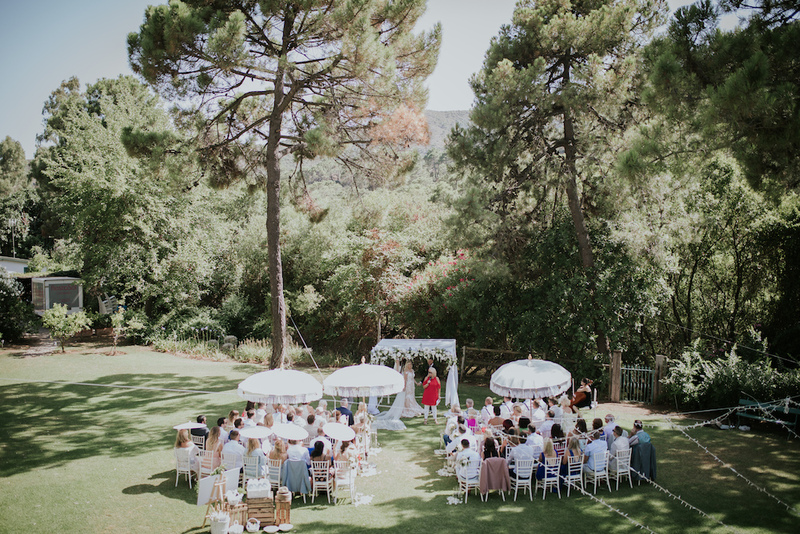 Not only has it got amazing weather all year round but great venues from beaches to mountain tops, to centuries old country manors and converted mills set in lush olive groves, just to give a few examples. Not to mention the warm and friendly locals in the form of wedding planners, wedding photographers, wedding decorators, caterers, cake makers, florists, hair and make-up specialists, DJs, string trios and quartets, classical guitarists, not forgetting your wonderful wedding celebrant, all on hand to make your wedding dreams come true! So now your probably wondering about where you need to start! Of course you are! Whilst we are extremely chuffed to get enquiries from couples right at the start of their wedding planning journey, before they’ve even narrowed down their area within Spain or even their favourite venues, the first thing that you need to make a priority is finding your perfect venue. Your venue is the KEY to all your wedding planning because once you have it and you have it booked or reserved, you will then have your date. Sometimes, you might start off with a date or at least have a month in mind, and then you find your dream venue only to find that it is not available in the month or date that you want it for, and so you either change date or change venue. So this is why it’s so important to get your venue organised first. Your wedding venue is the linchpin which everything holds everything else together. My useful links page has some nice venues on there that I work at often and also so does my Facebook page. I am based in the Costa del Sol, in Southern Spain. So all of my information is relevant to this area – the Malaga/Cadiz/Granada Provinces, Malaga City, Mijas, Ronda, Tarifa, Nerja, Almuñecar, Marbella and Estepona and San Pedro. Once your venue and date is set, this is then the time for you to start booking your wedding celebrants (us!!) and any other wedding professionals that you need for your day. The wedding industry here in Spain is very popular and busy with, with most wedding suppliers being booked for weddings a year to two in advance. Especially in the popular months of May, June and September. So if you find someone you like, who is in your budget and they are available, do not hesitate in booking them, because if you leave it for too long, they might not be available when you do get back in touch with them. A note about marriage legalities: Here in the Costa del Sol region of Spain, and for the greater part of Southern Spain, for non-Spanish people to get legally married, they need to be resident here or to have residency papers. This however, does not stop 1000s of weddings taking place here every summer. 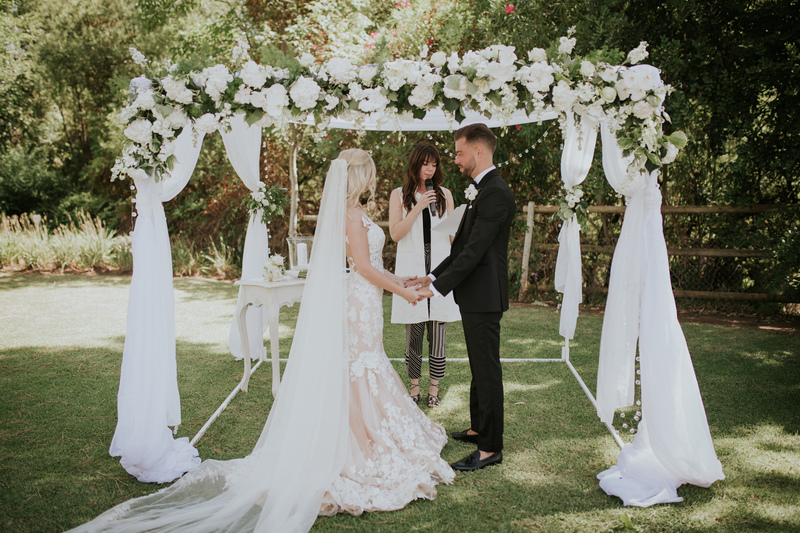 For us, especially in our role as wedding celebrants, we see what we do and what the legal ceremony does as two very different and distinct things. The legal ceremony, is short and sweet and its only purpose it to make you legally married. Our ceremonies are a celebration of your legal marriage and the purpose is to create a more personal, intimate, fun occasion which can be shared with your family and friends, in any setting that you wish. 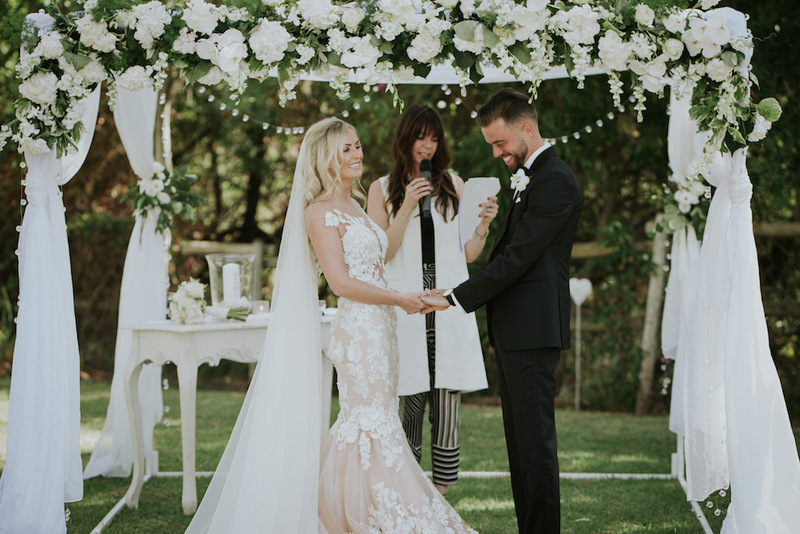 Ceremonies with wedding celebrants allow you to truly be yourselves, allow you to have personal vows, music, group songs, symbolic rituals, readings and poetry, whatever you like! Not to mention heaps loads of fun! Along with your other wedding professionals, do really think about having a wedding planner. If you are having a wedding over 20-25 people, (and even if you’re not) I would highly recommend having one. We live in a time where everything is available on the internet and unfortunately whilst this is true and whilst it is easy to do a lot of wedding planning from afar, you will be surprised by how much organising and co-ordination and in some cases decorating, needs to be done on your wedding day. It can be a strain on you and your family and friends to be co-ordinating wedding suppliers on your wedding day, especially if you are having a wedding with a lot of elements that need overseeing. And many couples do overlook this. They overlook who will be the person doing all of this on the day. Hint: it shouldn’t be you! Yes, wedding planners are an added expense (and rightly so) but they will make sure that you do not have the stresses and headaches that you could have without them. All weddings go smoothly until they don’t! And so having someone who is experienced, knows the area well, speaks English and Spanish, knows all the wedding suppliers well and generally knows how to manage a wedding because it’s what they do for a living – that is the kind of person you want on your side on your wedding day. You can see a list of the wedding planners who I work with often here. Once you’ve got your venue and your main wedding suppliers in place, you can sit back and chill. Well, kind of! Obviously, you’ll have lots of things to decide on and lots of choices to make, but at least you can do it all knowing you have the best wedding professionals in place who will help you to bring your dreams of getting married in Spain, well and truly alive. If you’ve got your venue and date in place and you’d like to receive my colourful wedding e-brochure with lots more information about my services then fill out the form below and I’ll get right back to you.